Australia was quite prolific during the silent era of movies, along with America and France. 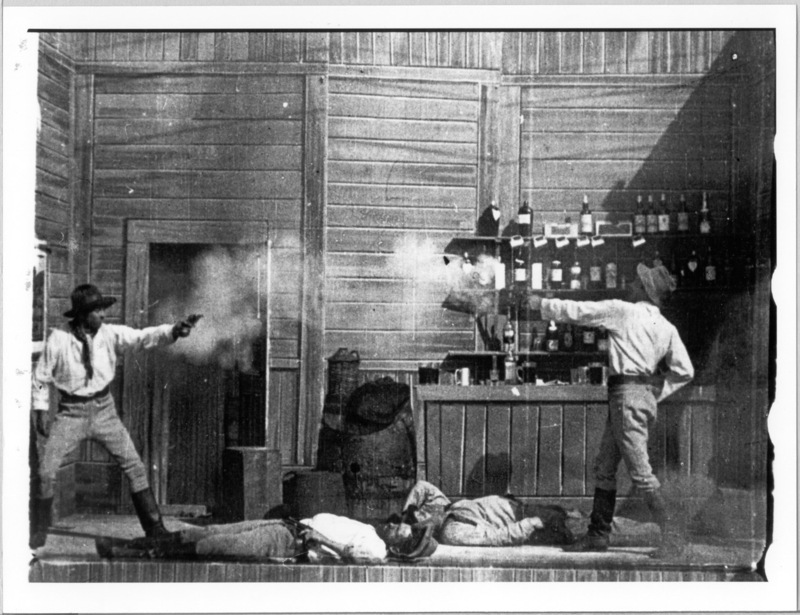 It even produced the first full-length feature film, in the form of 1906’s The Story of the Kelly Gang (Tait). During the 1920s, however, there was a critical decline in audience attendance rates. Following World War I, there was simply a lack of interest in Australian stories, which was further aggravated by the banning of bushranger films. Also, distributers discovered that it was cheaper to import films from overseas (since their production costs had already been recuperated in the home market), than to produce them in Australia. This lead to increased importation from the United States, and by the mid-20s, American films dominated the Australian box office. Also to blame, was the Australasian Films and Union Theatres chain, which established a monopoly over the production and distribution of films in Australia, and signed exclusive exhibition deals with American producers. The era that followed is sometimes referred to as “The Great Cinematic Silence”. These decades were occasionally punctuated by foreign directors, who arrived in the country hoping to capture some element of Australian society for the global market. This created a strange aloofness in many Australian film-goers, as they were viewing their own country through the lens of strangers (Roberts). Films during this period invited the audience to “stand in an external and observing relationship” to Australian things. This statement refers to an “othering” of Australian people, cultivated by filmmakers like Michael Powel, who positions the viewer as curious outsiders to all of the peculiarities and odd distinctions of Australian culture. They’re a Weird Mob (1966) is a great example of this filmmaking technique, as it follows an Italian immigrant trying to “learn” how to be Australian. In one scene, the protagonist, Nino, befriends a man at a bar. The man explains to him the meanings of several Australia slang words (“crust”, “shout”, “scooner”;), and in the process Nino begins to acquire the necessary lexicon to function as an Australian. The man also imparts on Nino some of his customs, such as always returning a shout, and never letting a man drink alone. The slang and customs seem rather trivial, but it is Nino’s effort to try and assimilate, that truly shows his “Australianess”. Another film, The Adventures of Barry McKenzie (Beresford, 1972), also positions the Australian as an “other”, but in the reverse. Unlike, They’re a Weird Mob, the Australian is the foreigner in a strange land. A good example of this is in the scene where Barry is receiving a psychological evaluation. The psychiatrist is using all of his training to decipher Barry’s mind, believing his problems to be psychologically complex, to which Barry responds by vomiting on the man’s head. Here, the Australian is depicted as something simplistic in the eyes of British intellectualism, but to us, the Australian audience, he is irreverent, and content to view the world through unvarnished eyes. Barry’s tendency to mock authority and pomposity are the characteristics of a “larrikin”, an archetype deeply ingrained in Australian culture. During the late 1960s, the Australian government began offering financial incentives and subsidies for filmmakers. These measures lead to a “New Wave” of Australian films. Directors like Peter Weir and Ken Hannam lead the resurgence, and brought Australian cinema to an international arena, with films like Picnic at Hanging Rock (1975) and Sunday Too Far Away (1975). The period was also marked by the emergence of exploitation films, or “Ozploitation”, which was equally popular. 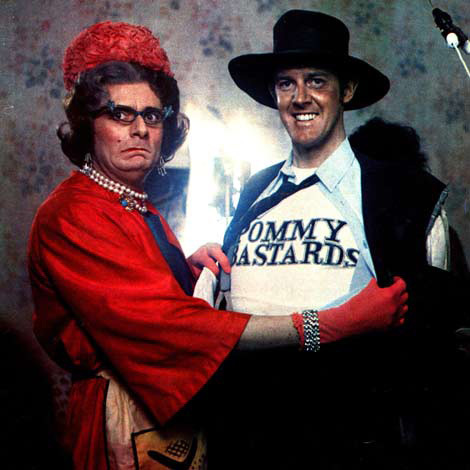 In fact, this renaissance had two competing lines of filmic expression – the arthouse films of Weir and Hannam, and the genre movement, with films like Barry McKenzie, Mad Max (Miller, 1979) and Turkey Shoot (Trenchard-Smith, 1982), which were loathed by critics, but were extremely popular with audiences. The earliest film examples of this period are Walkabout (Roeg, 1977), Stork (Burstall, 1971) and Peterson (Burstall, 1974), though the 1966 hit They’re a Weird Mob foreshadowed the movement. Unfortunately, the exploitation films began to oversaturate the market and push the arthouse out of the picture. Low quality, poorly produced schlock films were being pumped out, and with a very noticeable lack of Australian identity, since filmmakers were hoping to appeal directly to American markets. This excess of poor-quality films, combined with the drop in government support, quickly fizzled out what was left of the Australian New Wave (Stuart). A common theme throughout this short-lived renaissance was the clash between the traditional Australian identity, and the emerging youth subcultures. A national identity is a collective character endowed on people due to their shared citizenship. It is something you belong to, based on your location, more than anything. On the other hand, a subculture is a collective character based on your interests and passions. It is something you seek out, and share with others of a similar mindset. Subculture is best illustrated in the film Dogs in Space (Lowenstein, 1986), in which a random group of people, from different races and socio-economic backgrounds are clustered together because of their shared love of music, drugs and the “little band scene”. They reject their Australian identity, insofar as they reject society and conformity as a whole. Like many Australian films, it may be commenting, though subconsciously, on the obvious vacuum of Australian culture. One of the overriding themes of Australian cinema is that we are a nation, constantly trying to define ourselves and our values; a collective of immigrants, convict descendants and displaced Indigenous peoples who have been shoved together on this island and forced to create a unified character. Many Australian films that included Aboriginal characters emphasised White Australian perceptions and values. The character of Jedda (Chauvel, 1955) can be seen as Indigenous person who reflected the values of 1950s attitudes. Jedda has been adopted by a White family, and taught the “culture” of European colonialism, in the way she dresses and plays piano. She has severed ties to her Indigenous roots, and been moulded into a proper White lady, in all but skin-colour. The same evaluation could be given to her friend, and love-interest, Joe, who has also been assimilated, and separated from his culture and customs. The film appears to condone assimilation and the policy of White adoption for mixed race Aborigines, as Jedda is ultimately punished for her decision to choose Marbuck over Joe; her Indigenous identity over her White identity. Chauvel argues that you are either an Aboriginal or a White person (in a cultural sense, as much as a racial sense), that you can’t be both, and that to choose an Aboriginal identity is wrong, because they are a doomed race. This message must seem horribly racist to our modern perspective, but it appears to have been the prevailing opinion of the time; that Indigenous children needed to be saved from their own nature (Roberts). Like Jedda, Walkabout is also told from a European perspective. Here, however, it is about white people learning to exist in an Indigenous environment, rather than the other way around. The images of Aboriginal culture in the film are represented through the harsh landscape, full of danger and energy. It is an alien world which audiences associate with the Aboriginal way of life, believing it to be simple, natural and primitive. To Australian audiences, the skill of the Aboriginal boy and his knowledge of the land and desert environment only reinforced the distance of his “way of life” from that of “civilisation”. These “primitive” images of Indigenous people are placed in opposition to non-Indigenous culture. The menacing nature of the outback is contrasted with the innocence and naiveté of the English schoolchildren. Towards the end of the film, the Aboriginal boy commits suicide. Once again, it emphasises a “dying culture” and the need to represent it as such. 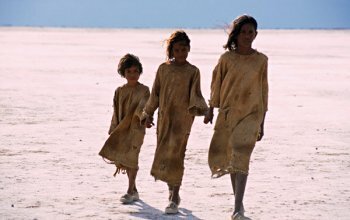 The Aboriginal boy is allowed to befriend the two white characters in the film, but is portrayed as being too “fragile” to survive the destructive alienation of the “outside” white world. Once again, the message seems to be one of segregation. While the film depicts a friendship between black and white, neither the white children, nor the Aboriginal boy is able to fully cross over. The children cannot survive in the outback, and the Aborigine cannot accept the ways of the white people. Finally, the 2002 film Rabbit Proof Fence (Noyce) is told entirely from an Indigenous perspective, and is fused with a sense of loss and isolation, associated with being torn away from your family and culture. Unlike Walkabout, this film inverts the image of a hostile, indifferent and unknown landscape, and allows for the idea that Aboriginal people belong to the land, have customary obligations to the land, and are physically and emotionally affected when taken away from it. What was alien and hostile in Walkabout, is actually familiar and protective in Rabbit Proof Fence. The harsh Australian outback is their home, and they feel safer there than they do inside the church. The film also makes an effort to point out that for Indigenous people, home and land mean the same thing, and it is almost impossible for them to feel comfortable when separated from where they were born. Noyce depicts the trauma of separation that came out of the “stolen generation” policies (Stuart). It has been argued that Australian cinema is “founded on mystery and exemplified by apocalypse”. This statement points to a thematic style and narrative of Australian cinema, following the 1970s renaissance, which is marked by a feeling of physical and cultural entropy. We are a nation born out of bloodshed, both through Aboriginal ethnocide and convict heritage. Many Australian films deal with the outback as a hostile and unwelcoming force against White settlers, and a place that we do not particularly comprehend. Another theme, explored by the director Peter Weir, is the transient nature of Western civilisation; the idea that the Australia we know is but a thin layer on real estate that rests on a millennia old Indigenous culture and country, and that our place on this land is impermanent and fading; our connection to it, shallow and unwelcome. The film, The Last Wave (Weir, 1977) is a good example of this theme, in which the protagonist, David, is plagued by nightmares of a great flood consuming Sydney, and drowning its inhabitants. The visions are certainly apocalyptic, but the subtext seems to be this idea that nature is attempting to wash away white Australia; to cleanse itself of this unwelcome presence (again supported by the films exploration of Indigenous spiritualism). The fact that the film is told from a White perspective works in with the theme of apocalypse; that at any minute this civilisation of ours will be swept away, and replaced by its proper Indigenous custodians. John Hillcoat’s The Proposition (2005) also explores notions of cultural decay and national guilt. In one scene the outlaw simpleton Mikey is brutally whipped in the centre of town. The juxtaposition of sound and colour are very pronounced and add to the disturbing, violent nature of the scene. The movement opens with Mikey screaming for mercy, as the members of the town stand around condemning his perceived crime and cowardice. As the whipping begins, Mikey’s screams become louder and more horrifying. Intercut with this scene, are shots of the Burn’s gang, with Samuel singing a soft Irish folksong. The pleasing melody and Mikey’s screams clash horribly, and create a deeply unnerving feeling in the viewer’s mind. As the scene continues, Mikey’s screams fade, along with the condemnations of the townsfolk, and all that we are left with is the song, hard crack of the whip against flesh. Then, we get one of the most striking images of the film, the torturer wringing out his whip, and dark, red veins of blood dripping onto the pale, white sand. 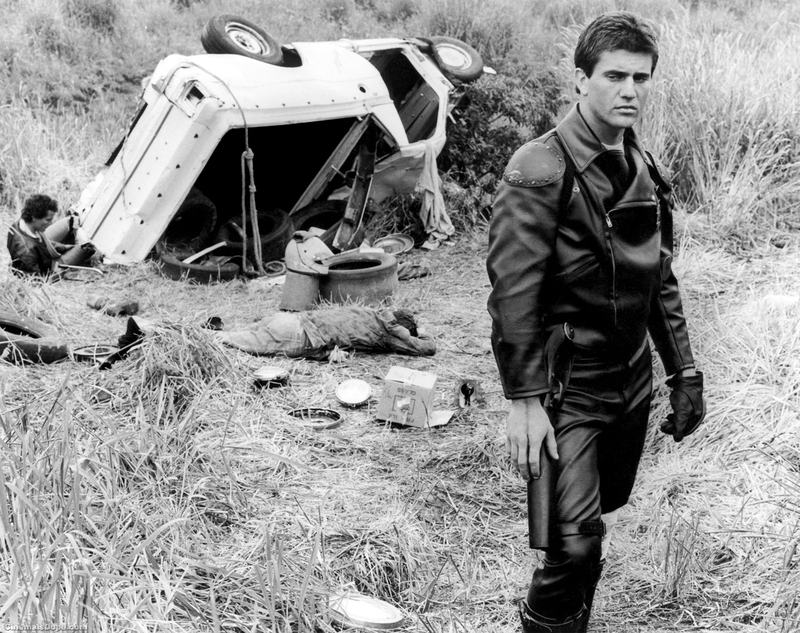 This image could encapsulate any number of the film’s themes, from the Aboriginal genocide, to the act of purifying (or wringing) the land of outlaws and savages, but here it represents the loss of Mikey’s innocence (and indeed sanity), who is both innocent of the crime, and a simpleton by nature. It is a moment of no return for the characters in the film. The silence of the crowd may be a recognition of the savagery within themselves, now manifested before them in the image of Mikey’s mutilated back. Next, a gust of wind blows through the town, and the people are coated with a blanket of flies so thick, they seem to be wearing them as clothing. The fact that the flies feed on the living, rather than the blood-soaked Mikey, could represent the rotting of their souls. Many Australian directors have emphasised a spiritual and cultural connection to the Australian landscape. Sometimes called locationism, it is the inclination to assign certain traits or ideas to a person, based on where they live, or where they come from. Locationism can be observed in Australian films like Jedda and The Proposition, as both films depict Australia as being different and distinct from other countries, and presents Australian’s as being intrinsically connected to the land, and being moulded by its mystery and brutality. In the film Jedda, Charles Chauvel oscillates between an intensely realistic (almost documentarian style) style, and a sensationalistic, melodramatic narrative. The fact that he shot the film on location, speaks to his commitment to depict the Australian outback, in all of its harsh beauty. Chauvel treats the land as he treats the Aborigines in the film, as something wild and dangerous and seductive, and yet something which must ultimately be tamed by White civilisation. The Proposition presents a similarly harsh Australian outback. So harsh, in fact, that it is presented as place where men can be transformed into beasts, not through any Aboriginal spiritualism, but by the land itself. This transformation is described by the Indigenous locals as men turning into dogs, but in truth, it is the decay of morality, in which men become cruel, and seek to accomplish evil for its own sake. Unlike Jedda, what causes this change in the members of the Burn’s gang is never really established. It could be the intense heat and death of the desert. Or it could be the immense emptiness of it all, in which broken men are given a place to contemplate life, and the utter pointlessness of it all, without the confines of civilisation to give them hope.